Rob Riggle is best-known for playing brash, larger-than-life characters in some of the biggest comedies in recent years (“21 Jump Street,” “Step Brothers,” “The Hangover,” not to mention on “Saturday Night Live” and “The Daily Show”). With an on-screen persona so large, you would think that if he went into the liquor business, his bizarre antics would drive the product. Riggle, 46, is co-owner of Loaded Vodka, a small-batch vodka based in Olathe, Kansas (just outside of Kansas City, Missouri), which is gaining popularity in the wine and spirits world more for its taste than for the name behind it. In fact, outside of Riggle doing a few social-media spots to promote the vodka, the comedian is nowhere to be found on anything related to Loaded. His name doesn’t even show up anywhere on its website. Riggle teamed with his college friend Chris Seithel, a 20-plus year veteran in the wine and spirits industry, and Austin Hope (of Austin Hope Wines) as co-owners of Loaded in November 2014. The vodka, with a list price of $19.99 per bottle, sold an impressive 8,000 cases in 2015 (by comparison, the popular Tito’s Handmade Vodka sold 1,000 cases its first year), and will be available in 15 markets by the end of June. It’s also won back-to-back silver medals at the San Francisco World Spirit Competition. All of that’s been the work of a five-person team at a distillery in the Kansas City metropolitan area. That was the big draw for Riggle to get involved with the vodka. A graduate of the University of Kansas, which is a 45-minute drive from downtown Kansas City, Riggle wanted to get behind something that would spotlight the city in a unique way, and a vodka company seemed like something that would stand out. 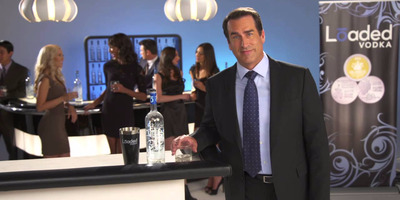 But what Riggle learned from Seithel is that Kansas City is perfect for making vodka. Riggle says that the key to a successful vodka is good water, and it turns out that near Kansas City sits one of the largest underground sources of fresh water in the world, the Ogallala Aquifer. “The water we start with is so pure, in my opinion, we’re already starting ahead of the curve,” Riggle said. The vodka is then distilled six times and filtered through a coconut carbon filtration (the company’s proprietary filtration) to get Loaded’s smooth taste. The local water has caught on. Loaded isn’t the only vodka made in Kansas City. An internet search leads you to numerous labels, including 360 Vodka, which has a big presence in the city as it is sold at the Kansas City Royals ballpark, Kauffman Stadium, and launched limited-edition commemorative bottles celebrating the team being 2015 World Series champs. With this kind of competition so close, Riggle is very realistic about Loaded’s chances to be in the same conversation with vodka giants like Absolut, Smirnoff, Grey Goose, and Tito’s, and Diddy’s Cîroc. And that’s not to mention the multitude of other celebrity liquors of various kinds, including Drake’s new Virginia Black whiskey, George Clooney’s Casamigos tequila, and, yes, another comedian’s vodka: Dan Aykroyd’s Crystal Head. “I have a business manager and we had long conversations about this,” said Riggle, who would not divulge to Business Insider how much he’s invested in the company. Riggle said the biggest challenge has been the usual startup pain: getting the most out of a small amount of capital. Riggle said he and the Loaded team are “thrilled beyond belief” about how far the product has evolved in just over a year, but he’s hoping for more big things to come. 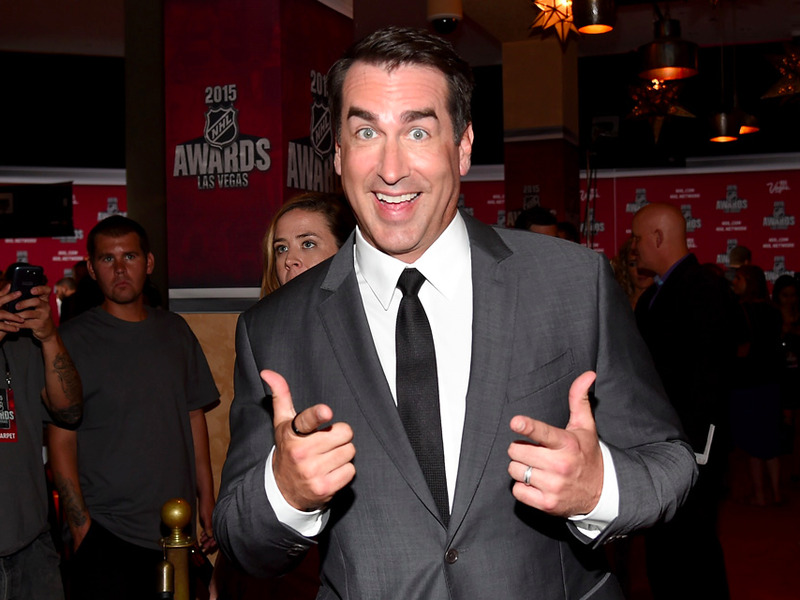 Later this summer, Riggle is shooting a pilot for a sports-themed late-night show he’s hosting that TBS has ordered. He hopes it will be possible to spotlight Loaded in some way. And the company is waiting on approval to sell in Montreal, which would be the vodka’s first international location.